Is neediness ruining your love life? How are you dealing with your feelings about the war? What Men Need...no if, ands or buts! 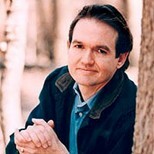 John Gray is a popular speaker on the national lecture circuit and often appears on television and radio programs to discuss his work. He has made guest appearances on a number of shows, including The Oprah Winfrey Show, Good Morning America, the Today Show, and The View. He has also been profiled in Time, Forbes, USA Today, and many other major publications across the United States. Dr. Gray established The Mars Venus Institute in 1996. • The number one way a man can succeed in fulfilling a woman’s primary love needs is through communication. By learning to listen to a woman’s feelings, a man can effectively shower a woman with caring, understanding, respect, devotion, validation, and reassurance. • A woman under stress is not immediately concerned with finding solutions to her problems but rather seeks relief by expressing herself and being understood. • To offer a man unsolicited advice is to presume that he doesn’t know what to do or that he can’t do it on his own. • One of the things that’s so hard for women to understand is that there are certain differences and you can’t change them. If you try to change them it will not work. And that basic difference is the man needs to be the pursuer. If you pursue a man more than he pursues you, he becomes the pursued and he loses touch with his ability to hunger for her, to want her, to be motivated to do things to get her. Men have to be driven, they have to find that there’s a distance, and I have to cross over that distance. I have to get to her. I have to win her over. John Gray is synonymous with the Mars Venus series of books, tapes, and programs. To know John Gray is to start where Mars Venus begins and that is with the first book, Men Are from Mars, Women Are from Venus: A Practical Guide for Improving Communication and Getting What You Want in Your Relationships. My wife and I both read the book before we met and both gained tremendous insight into ourselves and relationships in general. Dr. Gray often speaks in generalities or stereotypes, but more often than not, these generalities are accurate, provide insight, and can assist us in understanding relationships. An example would include how Martians (men) play Mr. Fix-It while Venusians (women) run the Home-Improvement Committee; when upset, Martians “go to their caves” (to sort things out alone) while Venusians “go to the well” (for emotional cleansing). John Gray’s audio, video, and live programs provide the added benefit of his soothing, compassionate, and sensitive demeanor. His brand of relationship counseling has spread through the Mars Venus Counseling Centers, and most recently, they added a Mars Venus telephone hotline at 866-628-8858. With this service, you can get Mars Venus relationship coaching by phone seven days a week.